Charlotte Jean Moats, 58, of Kingwood, WV. Born July 27, 1960- Passed away November 29, 2018. Charlotte passed away at Ruby Memorial Hospital Thursday afternoon with daughter and friends by her side. Charlotte was proceeded in her death by her mother Shelia Kay Yvonne May of Kingwood WV, father, Gerald Lee May of Kingwood WV, and grandmother Willa Pearl Messenger of Kingwood WV. She is survived by her son, Jeremiah Moats and his wife Michelle Moats, their children, David Schamberger of Tunnelton, WV and Willow Turjlio of Terra Alta WV; her daughter, Ashley Moats and child, Oceana Moats of Kingwood WV. Charlotte had many hobbies. She loved to crochet, read, and collect horror movies, but overall she loved to spend time with her family, her family meant the world to her. She made an impact on everyone she met. 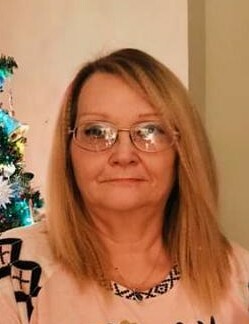 Cremation services were provided by Browning Funeral Home and there will be a memorial service planned and details will be available through her daughter, Ashley.